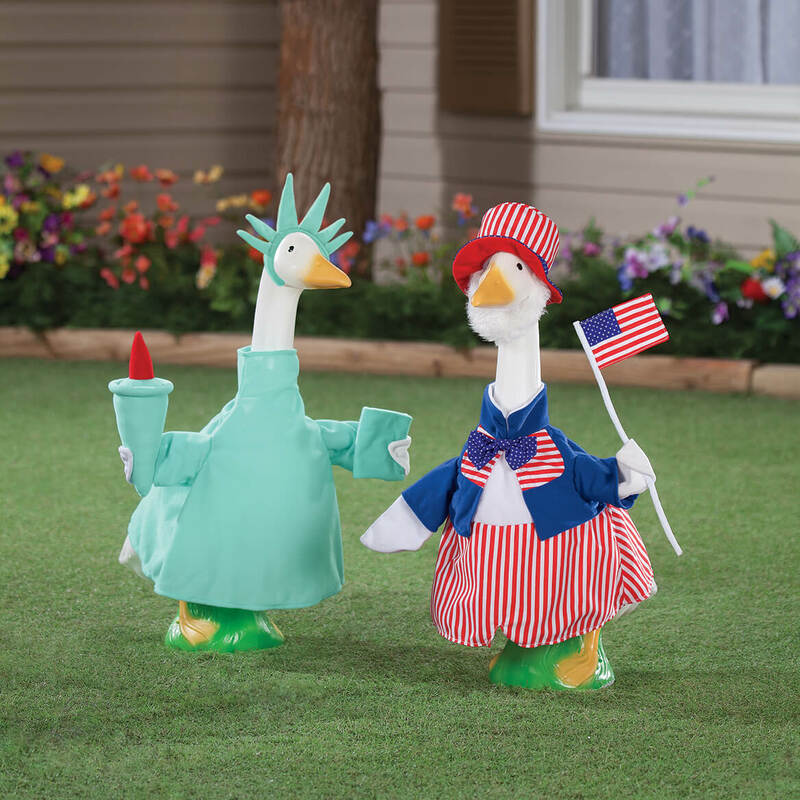 This was the first outfit I bought (along with the large plastic goose)...for 4th of July. Absolutely love this outfit!! As expected, you'll need to add stuffing/pipe cleaners if you want her arms to stay up - easy fix! Can't wait to buy more outfits!! They're well made and my geese decorate our front porch. I would have bought a different outfit. It does not look like the picture. The items do not stand up , the torch and book. Because it was cute and the price was affordable. A fitting tribute to our country! I just wish the Uncle Sam outfit would have been available for 4th of July. I needed a 4th of July outfit for my girl goose. 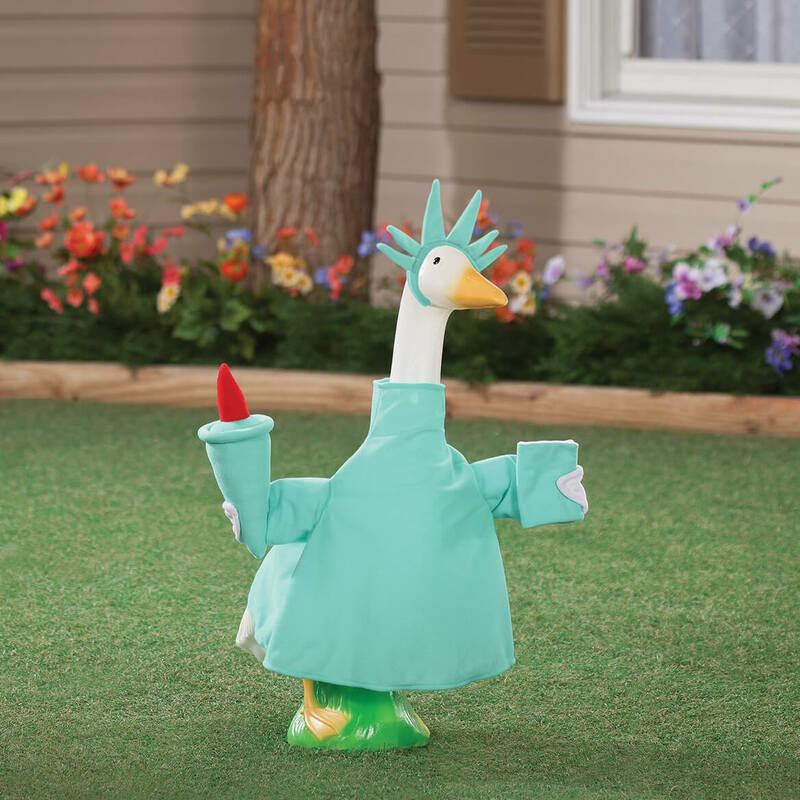 BEST ANSWER: I have a concrete goose and the outfits I buy at Miles Kimball fit my goose. They are usually tight around the face/neck putting them on but they look just fine once I get them over the head. My goose is 26 1/2 inches tall. Its a standard size that fits most geese. 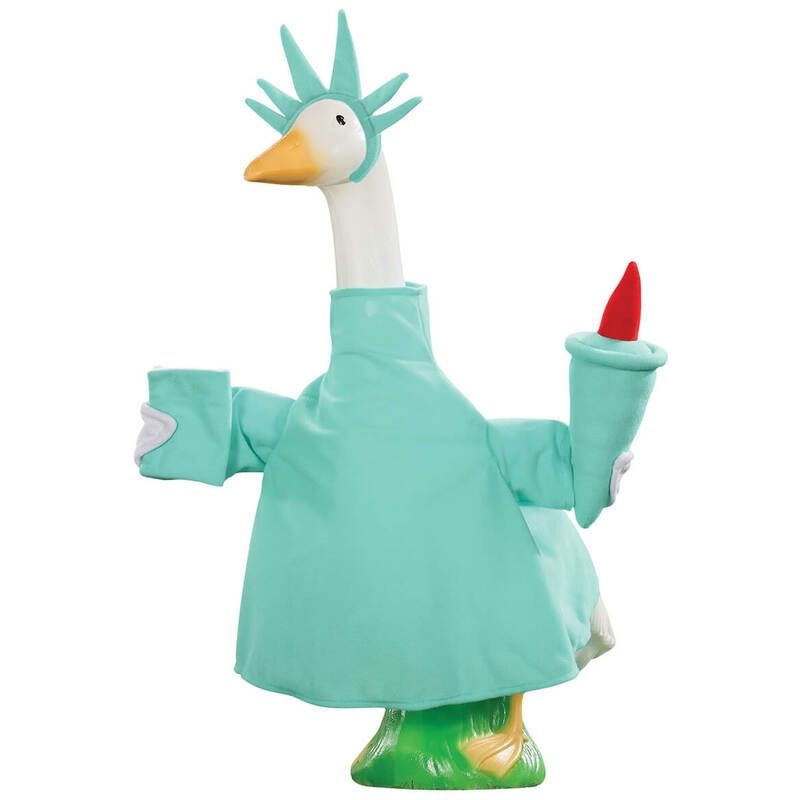 My goose even had some extra room in the Liberty Goose outfit. Super cute! I have a large goose and i fits perfectly. Really cute. Good Luck. It fits the large white 23" inch high goose. Is there something for the head not showing? BEST ANSWER: Thank you for your question. It does come with a crown. We hope this information will be of help to you.